This Sunday, I took a long walk with the purpose of checking out a few parks I had never been to before. On the top of the list was Glen Stewart Ravine, which looked nice from the photos I’d seen. 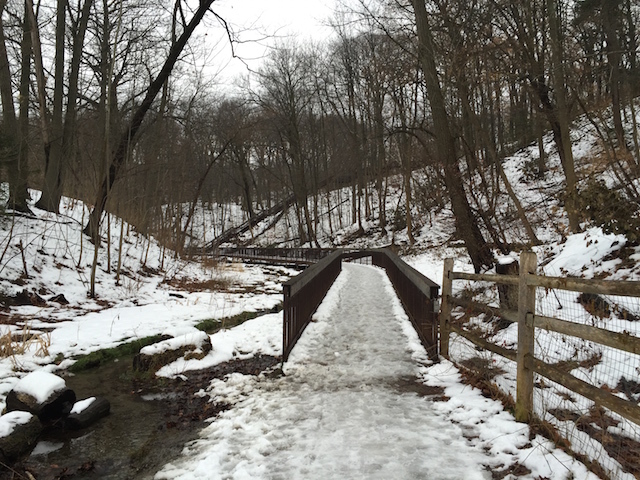 Let me tell you: Glen Stewart Ravine is not nice. Glen Stewart Ravine is stunning. And I mean really, truly stunning. Its snowy landscape was so beautiful I actually felt giddy, looking around for who I could share the moment with and finding only a man walking a dog who looked at me a little wearily. The dog, however, barked, so I think he got it. Stepping into the ravine is one of those moments in Toronto where you are quickly plunged into what appears to be the middle of the woods only a few steps after you leave a residential street behind you. It’s what I imagine walking through the wardrobe and stepping into Narnia would be like. Everything has this kind of miniaturized magic to it. If a gnome had passed me on the trail my reaction would have been: Well, of course. The 11 hectare ravine is designated as an environmentally significant area by the City, which are natural sites of particular importance because of unique features or wildlife. In the case of Glen Stewart Ravine, “several species of birds and plants observed within the area are regionally uncommon,” the City says. (The City is proposing to expand the number of these areas from the current 18 to 86). There is also a little mini-creek called Ames Creek where I imagine the gnomes come to do their laundry. 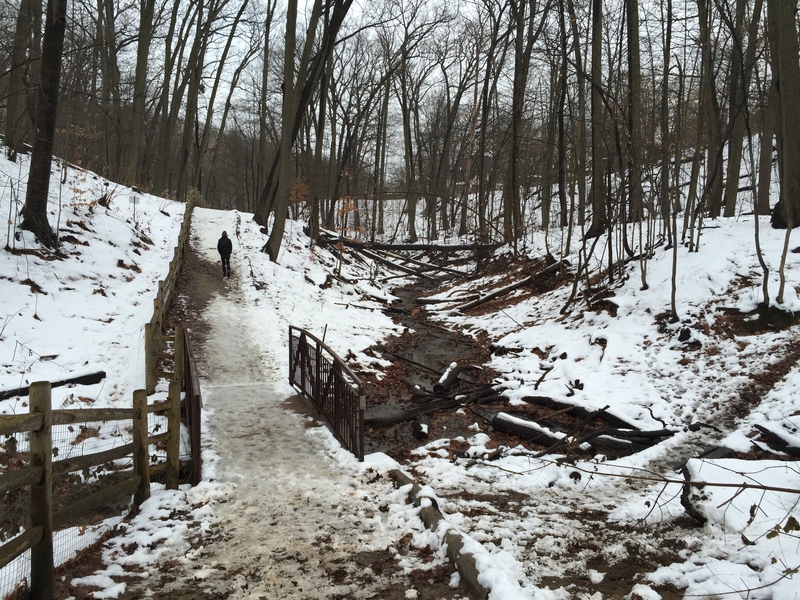 The ravine recently underwent a reconstruction project led by the City and the Toronto and Region Conservation Authority. This helped to stabilize slopes with new retaining walls and create raised boardwalks and pedestrian bridges to improve access. 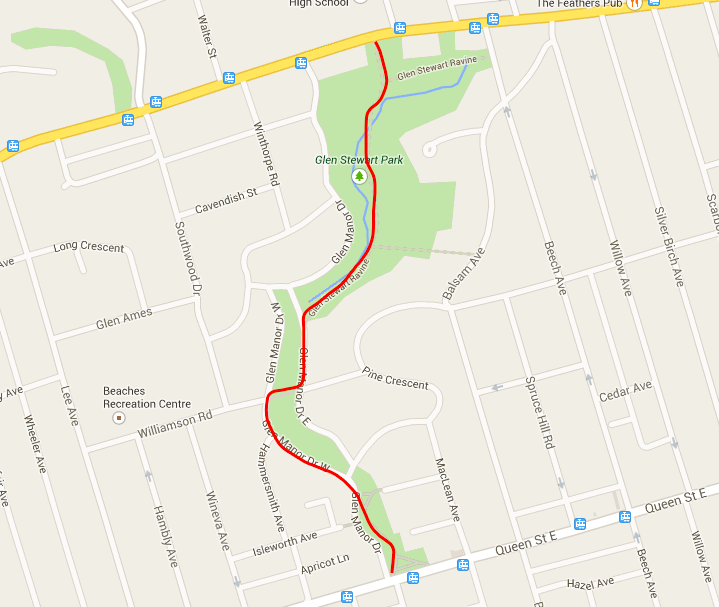 For the complete experience, I would suggest starting at Queen Street East at Ivan Forrest Gardens and walk north until you see the entrance to Glen Stewart Ravine, which is on the east side. While these parks don’t have the secluded feel of the ravine, they are wonderful spaces in their own right with a nice pedestrian bridge about halfway up. My only complaint is that the road that edges these parks, Glen Manor Drive, is not super pedestrian friendly. Drivers went pretty fast, the intersections are wide with broad turns, and there is no crosswalk to guide you to the pedestrian bridge. Overall, it’s an easy walk in terms of distance and slope, mostly. But the pathways through Ivan Forrest Gardens are not cleared of snow and there are some slippery parts in the ravine, so it’s not super accessible in the winter. The boardwalk through Glen Stewart Ravine will spit you onto Kingston Road where you can catch the streetcar or, if you’re like me, wander into the cute bookstore, The Great Escape, and buy a book to read on the way home. But whatever you do, go to the ravine. Go there when there is snow. Look out for the gnomes. What does ‘park acquisition’ mean when we’re building parks in the air? A few weeks ago a rendering of a park in the sky from Metrolinx and developer Ivanhoe Cambridge made the rounds in Toronto. 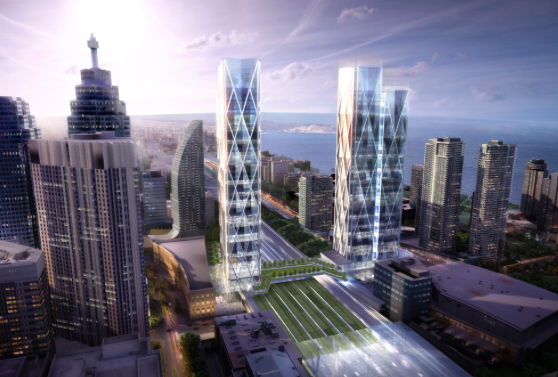 It would be built as the pedestrian connection for two proposed towers that flank the rail corridor. The Ivanhoe Cambridge proposal is not the first time that a ‘park in the sky’ has been proposed for Toronto, though. A few days ago I was looking through old parks and open space plans for the Fort York neighbourhood and saw that the spot where we’re now getting a pedestrian and cycling bridge was originally proposed as a “land bridge” that would connect new parks below Stanley Park with new parkland south of the rail corridor and Coronation Park. 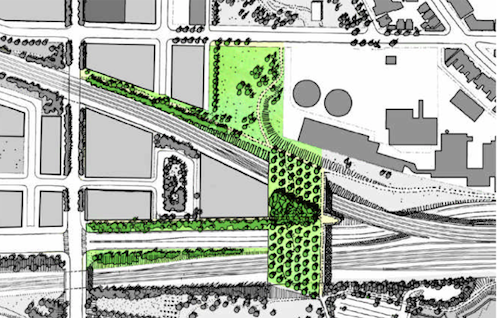 That plan says that the crossing over the rail corridor “should be developed as a broad land bridge to extend the sense of landscape continuity…” and provide space for cyclists, pedestrians, and possibly emergency vehicles. It’s a compelling idea, but the land bridge raises an interesting question: where could the money have come from? So, what about a land bridge? You’re not acquiring land, but you are building more of it and linking parks together. Is that an appropriate and allowable use? What about building a park island, like they’re proposing in New York? Would that count? Or how about “acquiring” street space like they did in Seattle, where park acquisition funds were used to build Bell Street Park? Anyway, redefining what acquisition means or clarifying what it could mean is an interesting question to think about as we begin to look at more outside-of-the-box ways to create new parks or link them together.